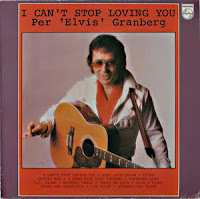 Elvis Today: Guest blog: I Can't Stop Loving ... Per!? Great guest blog, bro! I remember that tape too, particulary "See See Rider" and Per Elvis' "Take it!" Next time I visit we have to listen to it! Your post also inspired me to write about another guy singing Elvis songs. Do you remember Danny Mirror?